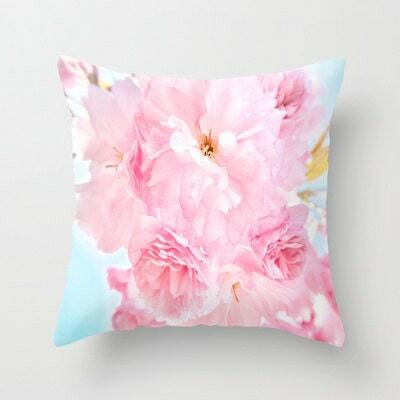 Beautiful and unique home décor throw pillow featuring my fine art photograph "Soft Blue Sky with Pink Peonies". No insert comes with the pillow cover. You will need to buy a pillow insert.